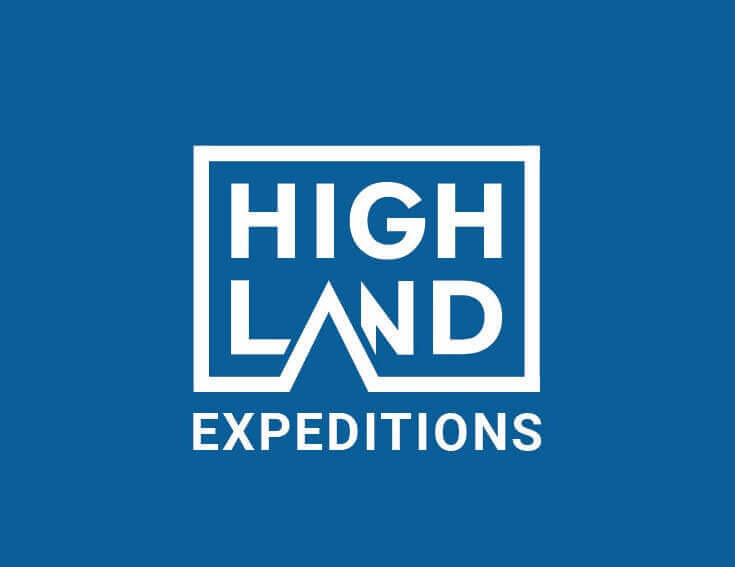 Your safety is of imperative concern while travelling with Highland Expeditions. Although we cannot mitigate all the hazards involved in adventure travel we can manage them in a way to make our trips as safe as possible. Our itineraries are specially devised by our expert team who possess years of experience in this field. Altitude, Acclimatization, Good campsite, trails are the main factors taken into consideration when devising the itinerary and keeping in mind that our clients will enjoy from the beginning to the end of our off the beaten track experiences. Our itinerary includes enough days for acclimatization giving your body enough time to adapt with the high altitude and also, we have contingencies day on all our Climbing trips and Everest treks if incase of any unforeseen activities (Flight cancellation, Poor weather) that might lead to change in the itinerary. We provide detailed information of trips to every participant so they can exactly choose the appropriate trips. We send detailed trip dossier which includes essential information (Trip Overview, Trip Grade, Level of fitness required, Equipment checklist and other aspects) about that particular trip with pre-departure information (Visas, Flight, Arrival Instruction) to make sure our participants are prepared for the trip. 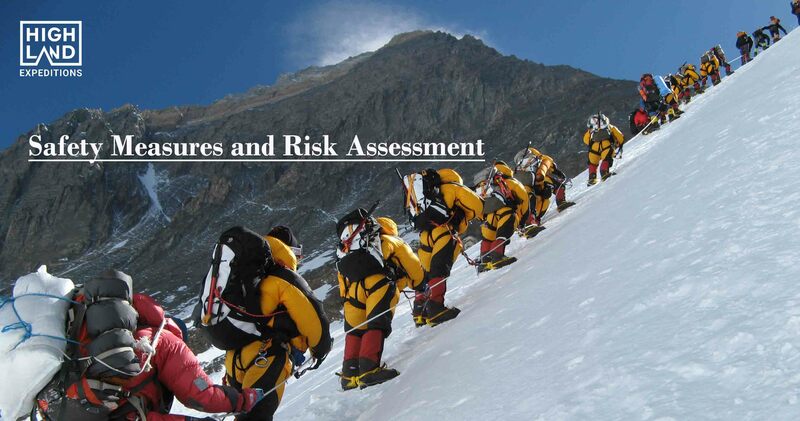 Before the start of every season we do risk assessment of trips with our team. Our team have wealth of experience in this field and together we ensure a sound decision if we need to change any aspects of the trip due to any circumstances. Our office staff, guides and leaders are all highly trained and practiced with in-depth knowledge of their respective fields. We empower leaders/guides with extensive knowledge in the adventure field. All our leader and guide are professional in the work they do and have undergone first aid training & high altitude medical training. We provide higher number of staff to client ratio on all our trips. On Trekking trips: 1 Senior leader/guide, 1 assistant guide for every 4 participants and 1 porter for every 2 participants. On climbing trips: 1 senior climbing leader/guide, 1 climbing Sherpa for every 3 participants and 1 porter for every 2 participants excluding porters for climbing gears. We supply a first aid kit with standard medicines prescribed by doctors on all our trips and Oxygen for emergency purposes for high altitude treks and climbs, which can be a life saver during high altitude sickness. Our medical kit contains basic medications to high altitude drugs. Besides that, upon request and with additional cost, we can provide for a High-Altitude Mountain doctor. All our climbing and remote area trips are backed up by satellite phone for any emergency purpose. Having a connection with outside world at times of emergency is important and thus, we send satellite phone on all our climbing and remote area trips where there are no other means of communications available. If you find yourself needing to evacuate back to the nearest city or medical facility we have the local knowledge and teams to assist as needed. During peak season time, we have our team at 24/7 support.